April is one of the most perfect months to visit Eureka Springs. Old Man Winter has gone back into hiding for another year, the leaves are blooming on all of the trees, and the daffodils are popping up everywhere! The air is crisp and comfortable at this time of year, and everyone just seems to have a little more pep in their step than usual. Beside the weather and nature being perfect during April, there are some excellent deals specials being offered , too! Stay 2 nights this month at any of All Seasons Luxury Properties, Sunday-Thursday, and get your 3rd night 1/2 off or you 4th night FREE! From quaint B & B’s to a beautiful Treehouse Village, ASLP provides a multitude of lodging choices for you when you visit Eureka Springs. Wisteria Lane Lodging is also offering a great special this month. This romantic, secluded, beautiful woodland setting of luxurious log cabins beckons you with the promise of privacy, relaxation and delight. Through the month of April, enjoy any one night at WLL, Sunday-Thursday, and get a second night FREE! Another great deal this month is being offered by Sherwood Court. For the entire month of April, reserve 2 nights Sunday-Thursday and get a third night HALF-OFF! Escape to Sherwood Court and experience unsurpassed hospitality. Relax and enjoy the beauty of the award-winning flower gardens that are found scattered throughout the property. 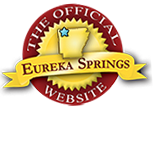 This entry was posted on April 8, 2015 by estcblog in Eureka Springs Lodging, Lodging Specials, Weekday Getaway and tagged Accommodations, All Seasons, Eureka Springs, Lodging, Sherwood Court, specials, Spring, Tree house, Wisteria Lane.